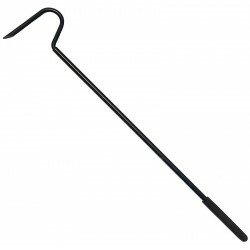 Buy Wholesale Snake Hooks & Grabbers For Sale at Bulk Prices! 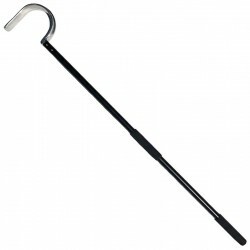 Aluminum golf club style snake hook. Lightweight for easy carrying in the field. Size: 38"
Lugarti’s Standard Snake Hooks are made of high quality stainless steel and finished with a professional powder coating finish. The handle is made of a non-slip, dense foam material for a comfortable grip. They're stronger than any other hook on the market, and better looking! Designed for most snakes up to 15 lbs. 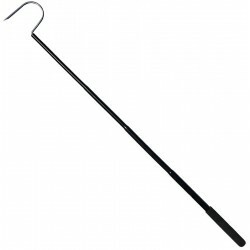 Size: 38"
Lugarti’s Ultralight Snake Hooks are made with a high quality stainless steel shaft and a solid aluminum hook with a professional powder coating finish. The handle is made of a non-slip, dense foam material for a comfortable grip. They're stronger than any other lightweight hook on the market, and better looking! Designed for snakes less than 1 lb (450g). Size: 18"